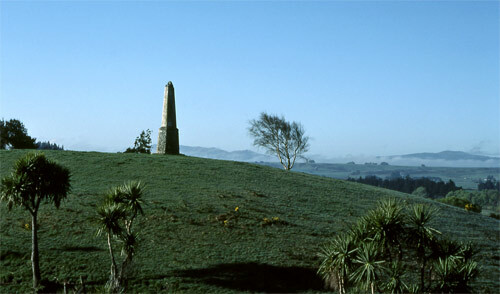 By the mid-1830s, the wars between Ngāi Tahu and Ngāti Toa had reached a stalemate. In one last bid to take Ngāi Tahu territory, Te Pūoho (a chief of the Ngāti Tama tribe, allied to Ngāti Toa) made an extraordinary journey in 1836 from north-west Nelson, down the West Coast and over Haast Pass to Southland. There, at Tuturau, he was surprised by Ngāi Tahu and killed. A monument marks the site of this last engagement.